The DC Randonneurs’ second 400K ran differently this year than the norm. It started at 7 a.m. Saturday May 26 and finished at 10 a.m. Sunday. 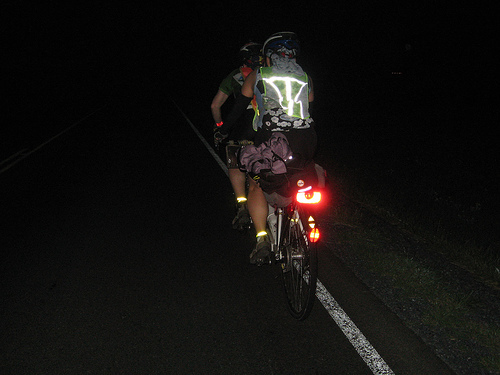 The idea was to give riders a chance to experience that wonderful sensation of riding all night. MG and I have almost ridden through and it’s hard, because I keep wanting to sleep and that makes her nervous! We did not ride because MG is tending to school this year and I spent the weekend with my daughter tandeming around DC. We rode to the National Zoo to see the pandas and went around Hains Point with MG yesterday to catch one last glimpe of “The Awakening”, all the while trying not to start a Pee-Wee Herman moment with the Rolling Thunder motorcycle groups.